Ever wanted to try an old master technique to see if you could create the same effects as the Renaissance painters? 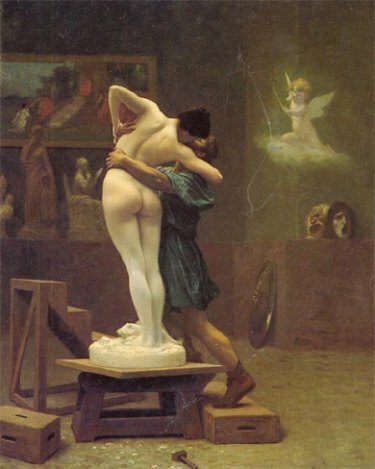 Ever wonder just what it takes for a painting to belong to the “classical” school of oil painting? It turns out that most of the modern oil painting techniques are derived from just two major schools: the Flemish and the Venetian. 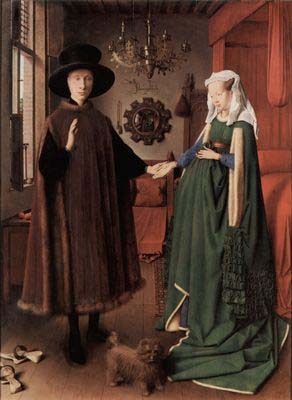 The Flemish approach to oil painting is the oldest old master technique in oil painting. That's because oil painting was invented by Flemish painters. The earliest oil painting methods evolved from the earlier disciplines of egg tempera painting. It didn't take very long before it was popular among the Renaissance painters in Italy, Germany, and the rest of Europe. One common element of the Flemish method is the use of a rigid surface like a wood panel. The old masters would then start with sketches—highly refined drawings on paper, called “cartoons”--that they used to solve potential pictorial problems before they began painting. Many times the cartoon was the same size as the finished painting, though sometimes they would scale up from a smaller drawing. The Flemish old masters would transfer the drawing to the panel using by tracing, the grid method, etc. Once the drawing was transferred, the painter started with imprimatura (a flat transparent or semitransparent underpainting) to harmonize colors and allow for more accurate judgment of the values or tones. With the under painting dry, with the drawing intact, it was time to start painting. The painting process began with transparent glazes for the shadows and other dark passages, thinly painted. Large masses of dark tones were handled first. The middle tones may be either transparent, opaque, or somewhere in between, using glazes, semi-glazes or scumbling. The highlights and the light tones were added last and were always opaque (they contained white, and hence were chalky). The highlights were usually painted heavily on or around the middle tones. The process might take several layers, applied after each previous coat was dry. Painters usually used round soft-haired brushes for this method. This old master technique might also involve a tonal underpainting called 'grisaille' either in grays or in color. Some of the prominent painters who pioneered this old master technique are Johannes Van Eyck (1390-1441) and Hans Holbein the Younger (1497-1543). In the early 16th century, Titian and Giorgione developed the Venetian approach to oil painting. This newfangled old master technique is similar to the Flemish technique in that the artist would use transparent glazes for the darks and then opaque paints for the highlights. The Venetian method evolved beyond the Flemish technique in terms of oil painting materials and how far the painters carried their oil paints. For one thing, they used canvases instead of heavy rigid wood panels. The Venetian painters used large stiff hog bristle paint brushes, though they also used the soft-haired brushes like the Flemish painters did. As a result, you can see both soft and hard edges in Venetian School paintings. It was painters working in the Venetian technique who discovered the scumbling and semi-glazing methods . Along with glazes, both scumbling and semi-glazes help create optical illusions. The control of soft and hard edges, along with scumbling, semi-glazes, and glazing allowed the Venetian painters to stretch oil painting beyond anything that came before.. Some of the most important old masters belonging to this school include Tiziano Vecellio (aka Titian, 1488-1576), Gentile Bellini, Peter Paul Rubens (1577-1640), and Jean-Leon Gerome (1824-1904). So, are you intrigued by either old master technique? Want to learn how to paint like the old masters? Joseph Sheppard wrote an excellent book "How To Paint Like Old Masters". It's a classic for all painters who want to learn, step by step, the classical methods oil painting. It teaches you how the old masters prepared their paints, the mediums they used, and the specific methods they used to produce their masterpieces. This 25th edition of this book was recently released. I own a copy of this book for years in my library and it has served as a very helpful reference. Better yet, if you would like to learn more about one or the other old master technique from another modern painter, there are videos or DVDs and actually see the process in action. You will be able to put these old master techniques into use and paint like one! Although I am very much an alla prima painter, I think it is valuable to understand the limits and possibilities of the medium. Now when I stand in front of the great paintings in the museums, I can appreciate their techniques and the effort and time that the past masters put into the work that now inspires us.